Bring some Scandinavian magic to your Christmas Eve dinner table with Sally Abé's recipe for risalamande, the popular rice pudding dish which traditionally rounds off the Danish Christmas meal. Rice pudding is delicious at the best of times, but with the addition of double cream and chopped almonds risalamande feels that bit more special – fitting considering it forms a staple part of the Danish Christmas dinner menu. 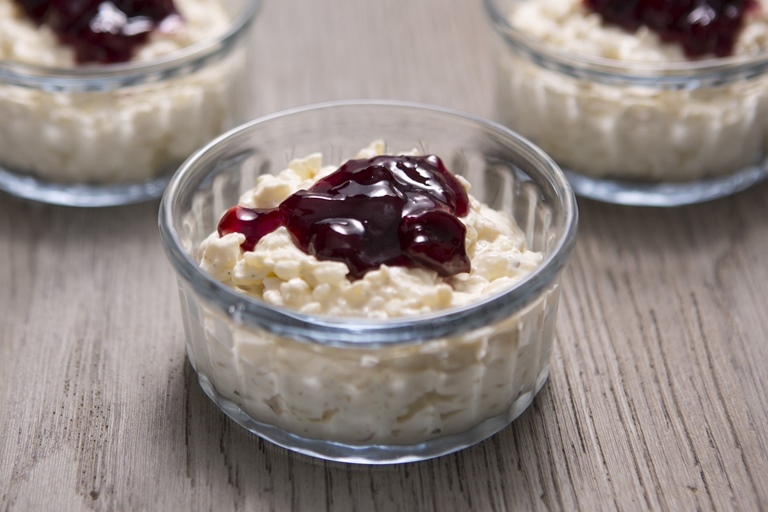 The dish also incorporates a popular Christmas game in Denmark and other parts of Scandinavia; one portion of rice pudding traditionally contains a whole almond and a prize is given to the person who ‘finds’ it. Risalamande is usually served with cherry compote which can be bought from most supermarkets, but for something more seasonal you could make your own using dates, cranberries or figs. Serve the pudding cold and topped with fruit compote. Don’t forget to buy a prize for the person who finds the almond!